Invicta Coleman is the leading company in the thermos segment in Brazil. 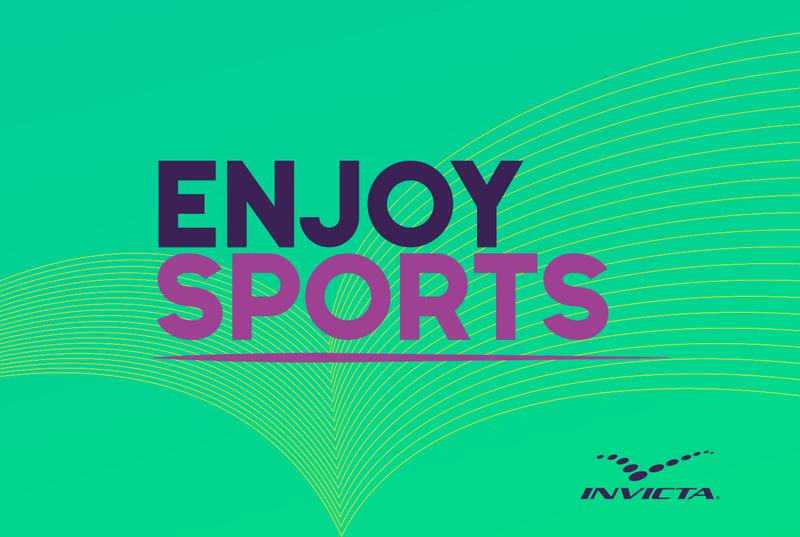 Enjoy Sports is its line of thermal squeeze bottles, an ideal product for hydration during sports practice as it keeps liquid temperature low. 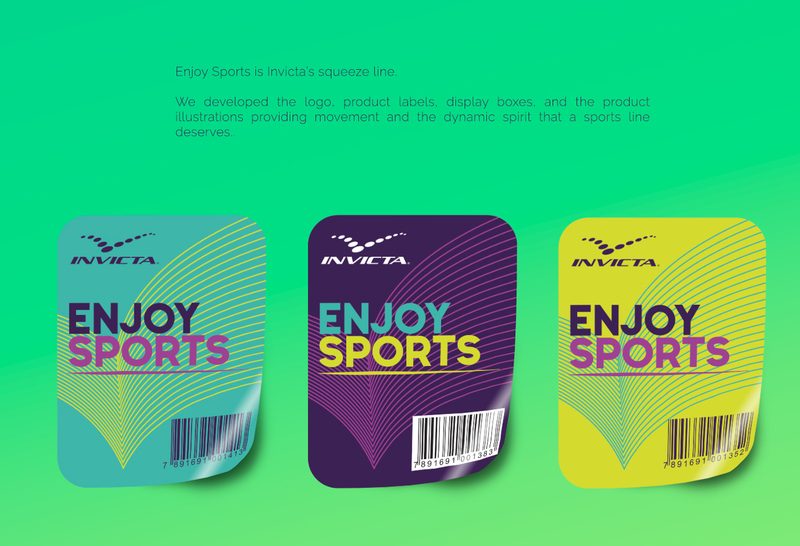 We developed Enjoy Sports logo, labels, display boxes and product pattern design. The patterns impart the dynamic spirit of sports. To enhance ideas of action, movement and energy we developed two proposals. 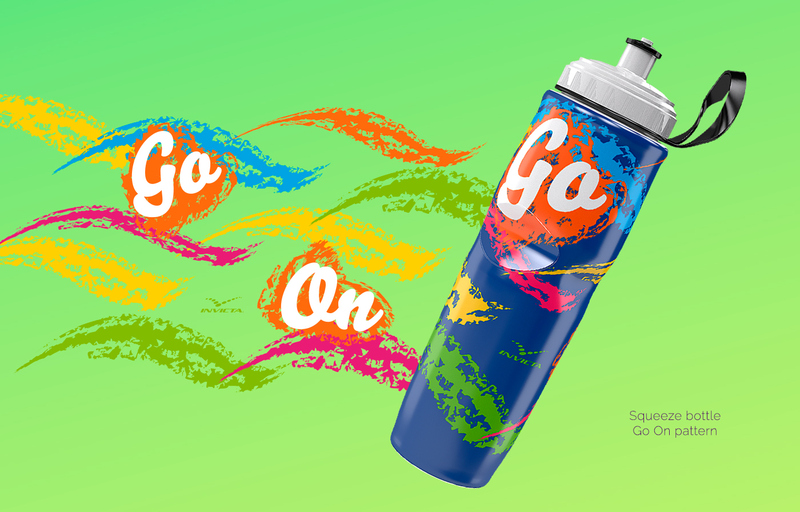 “Go-On” has vibrant color stains in wavy strokes. “Lines” has parallel dynamic curving lines. 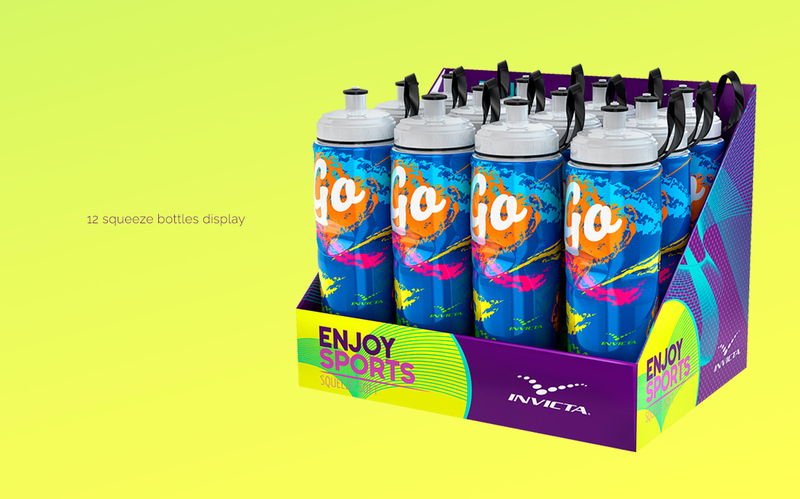 Using strong and contrasting colors aiming at sporty young consumers, the strategy resulted in great impact on points of sale. 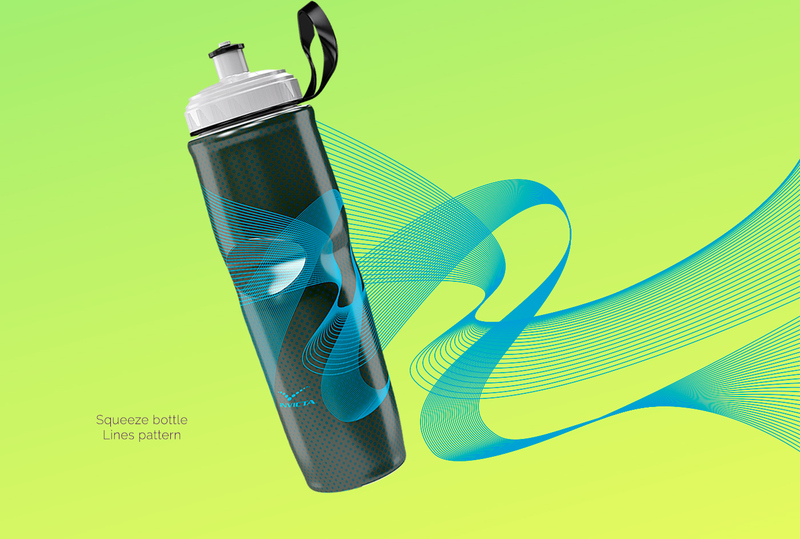 Apart from thermos, squeeze bottles and jars, O3 Design develops exclusive pattern design for several industries. Bed and table linen, wallpaper, wrapping paper, boxes and more. Our creations also comply with color and design trends resulting in updated and adequate products for every client. Click here to see more exclusive pattern design for Invicta Coleman.